1181 Lexington Court Bishop, GA. | MLS# 964915 | Athens. Athens Realtor. Athens Georgia Realtor. Athens Homes for Sale. Athens Georgia Real Estate. Athens Area Real Estate. Athens Real Estate. Moving to Athens. New home Athens. 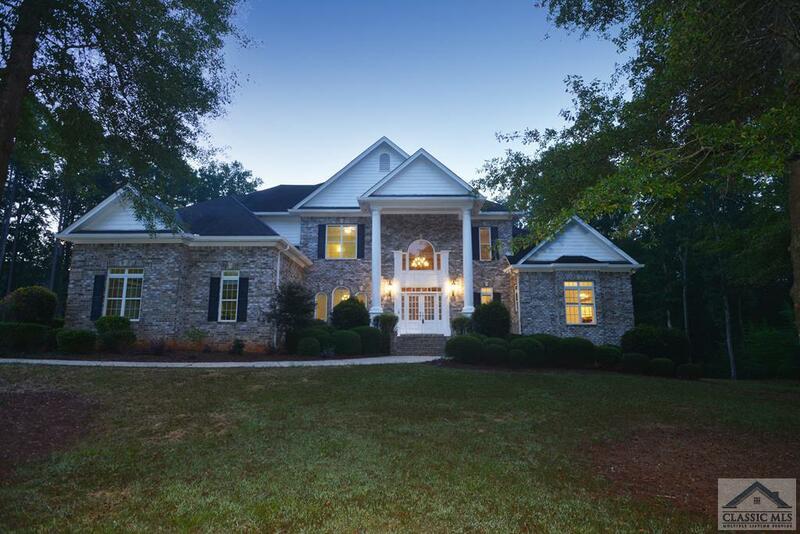 Private estate in Steeplechase equestrian subdivision on 5.17 acres. This impressive sprawling home features 6 bedrooms and 6 baths. Enter into the gracious foyer with curved staircase and two story great room with floor to ceiling windows over looking the private backyard. Kitchen has custom cabinetry, stainless appliances and gas stove, ample storage and granite countertops. Dining room with chandelier and keeping room with breakfast area make entertaining a delight. Enormous Master on main with trey ceiling has one of the nicest ensuite his and her bathrooms with separate closets and vanity. Upstairs there is a large open bonus with built in bookshelves and a double staircase. 3 more bedrooms each with a private bath. The full finished basement has a tile floor in the wet bar area and a full kitchen for the perfect in-law suite. There is an additional laundry room and 2 bedroom suites with baths as well as a furnished theatre with leather reclining seats with Energy speaker sound system ( $20K) and game room. Rear pond with circulating pump. New carpet and paint ! Move in condition. Best value in Oconee County and easy to show.